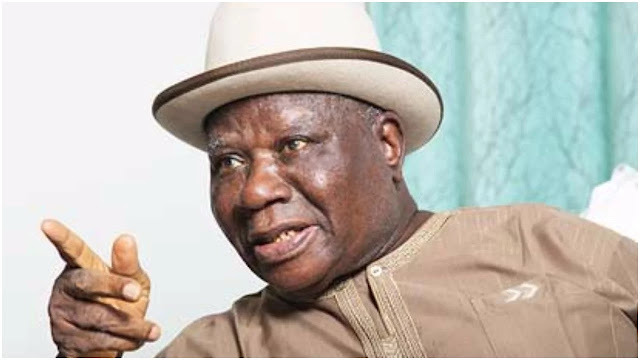 Leader of PNDPC and political Chieftain, Chief Edwin Clark has lashed out at former president of Nigeria, Chief Olusegun Obasanjo for the formation of a Movement for the Coalition of Nigeria describing it as a deceitful a move. Recall that the former president in a letter to President Muhammadu Buhari had criticised the ruling All Progressives Congress and the Peoples Democratic Party and said both parties are not the solutuion to Nigeria problems. He also urged President Buhari to desist from contesting in the 2019 elections and said the establishment of a coalition would allow the citizens take power back. “While we accept part of Obasanjo’s message, as far as it concerns the state of the nation, one won’t accept Obasanjo, the messenger, because it’s all pretence. “For him to say he’s going to champion the movement, he’s a failure already. “There’s nothing Obasanjo has to offer to Nigerians. He was the president of this country for eight years. “He was military head of state for about three years. As a civilian president, he created corruption and legalised corruption in Nigeria. “He’s just pretending. I wonder how Obasanjo would help with the new leadership. Nigerians should not follow him.